After playing mostly large stadiums on her Sticky & Sweet and MDNA Tour, the Rebel Heart Tour went back to playing in more intimate arenas. On Sep. 9, 2015, Montreal was the first of 82 tour stops. After tour legs in North America and Europe, Madonna added more shows in Southern states of the US, then visited several Southeast Asian territories for the first time ever, and finally made it back to Australia, for the first time since the 1993 Girlie Show. The Rebel Heart Tour extended Madonna's record as the highest grossing solo touring artist, with more than $1,31 billion in concert gross since her Blond Ambition Tour. 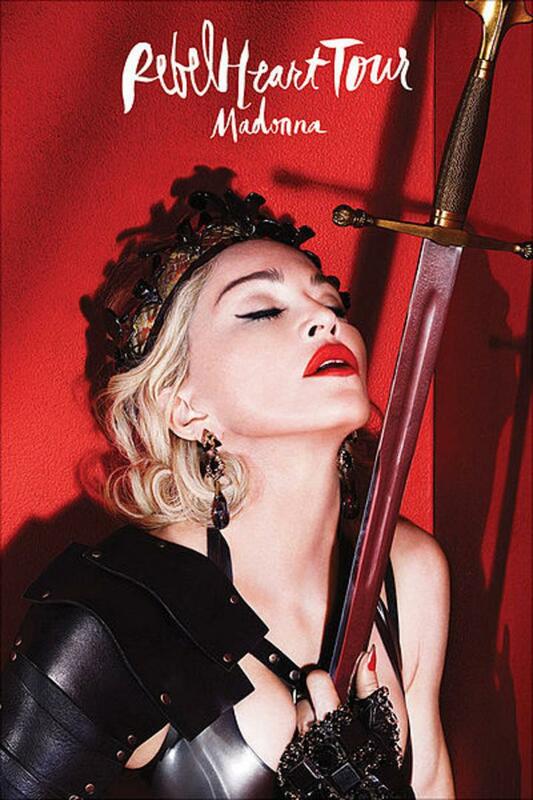 This ranks her 3rd, just behind The Rolling Stones and U2 on the all-time top-grossing Billboard Boxscore list. 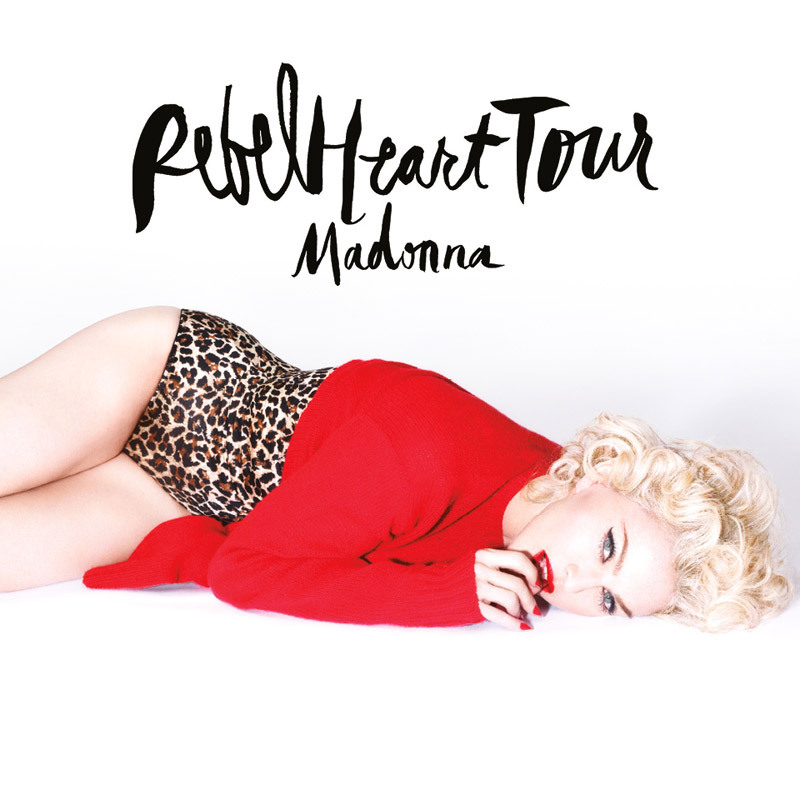 The tour had a more uplifting setlist, promoting the Rebel Heart album while giving attention to some classic gems. True Blue was performed live for the first time in 29 years, Deeper And Deeper made a fantastic dance comeback, Love Don't Live Here Anymore made its live debut 32 years after its release, and Who's That Girl finally made the setlist again (though only on half of the shows). 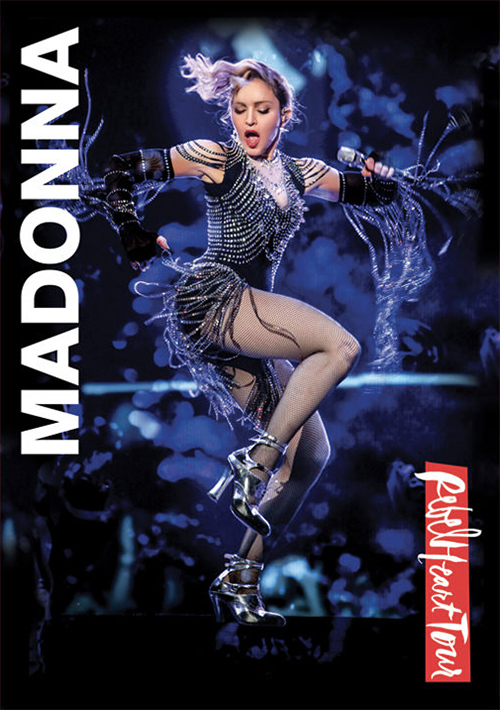 In the Latin / Gypsy Segment, Madonna also kept a slot for a track that changed from show to show, giving visibility to a wide range of her repertoire. The large crew for the Rebel Heart Tour included many dancers, and gave some of them the opportunity to join the choreography team as well. The costume design team was never more varied as now, including Arianne Phillips, Gucci, Prada, Moschino, Alexander Wang to name only a few. Danny B. Tull and Nathan Rissman were back on board to film the final tour stops in Sydney. When the show premiered on American cable channel Showtime on December 9, 2016, it was apparent that footage from other shows had been included as well. It will be released on DVD/Blu-ray, including behind-the-scenes material and footage of Tears of a Clown, on September 15, 2017. The release will also include a live album with 22 songs from the show. The cover for the release was made by our good friend and talented photographer Josh Brandão. Read our interview with him here.